For information on your options for how to listen, click here. 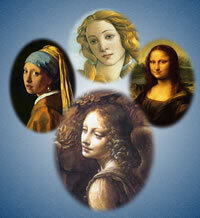 Rodney Winters, on the question, is divorce contagious? We'll talk about this theory, the impact of divorce on couples, children, friends and family. Mr. Winters is the author of "Go Into The House," about his personal experience with marriage and divorce. Ralph F. Weber CLU, is an expert on health insurance. He is an entrepreneur with innovative ideas for how to make health coverage more affordable, efficient and keep it dynamic and cutting edge. He is the founder of Medi-bid, a consumer driven exchange for competitively bid medical services. He'll talk with us about the Doctor's Tea Party event coming up in San Diego, August 7th, and his most recent post at Mediblog titled Canadian Physician Warns, "Obamacare Rationing is Inevitable." One of the Law Enforcement speakers from LEAP (Law Enforcement Against Prohibition), joins me to discuss the campaign in CA to legalize marijuana. 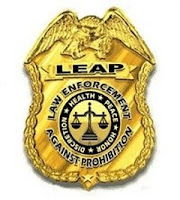 All of LEAP's speakers are required to be in or retired from a career in law enforcement. This includes judges, police and other law enforcement agencies. We'll discuss who is funding the Yes on Prop19 and the No on Prop 19 sides? Who supports Prop 19, the initiative on the Nov ballot in CA? What are the arguments for and against Prop 19, and what is the truth of the matter, if you're a concerned citizen who cares about law and order, and protecting individual citizens from tyranny and crime? Courtney Balaker, writer, producer and director who is working in Hollywood, joins us to talk about her most recent projects and her experience working in media. I loved a short film she wrote, produced and directed a few years ago, called Cute Couple. More than cute, it's very clever and thought provoking. And Courtney is a lot of fun! My Guest: Jack Dean of Pension Tsunami, on the story about the $800,000.00 annual salary for the City Manager of the City of Bell, CA. Could this be the story that breaks the public employee compensation and pension abuse of the public trust and budgets? Will it be the match that lights a fire under the taxpayers, to cause a productive and revolutionary revolt? If Bell City Manager retires now, he stands to reap over $30 million dollars in retirement funds. He's not the only one with outrageous pensions. He's just the worst case by far, but we'll look at the more common, and yet still, very unjust overcompensation awarded to various officials and ex-officials, all on the dime of the taxpayer, who is on the hook to pay, no matter what. Race Played Role in Obama Administration's GM and Chrysler Dealer Closures - according to a report by Troubled Asset Relief Program Special Inspector General Neal M. Barofsky At what cost? And to benefit whom? Race Played Role in Obama Administration's GM and Chrysler Dealer Closures - according to a report by Troubled Asset Relief Program Special Inspector General Neal M. Barofsky. "Another bombshell, not generally reported by the MSM. The Obama administration, already under fire for unprecedented allegations of racial bias, faces a new bias claim from a most unlikely source: one of the administration's own inspectors general. Decisions on which car dealerships to close as part of the auto industry bailout -- closures the Obama administration forced on General Motors and Chrysler -- were based in part on race and gender, according to a report by Troubled Asset Relief Program Special Inspector General Neal M. Barofsky. As has been widely reported, the Inspector General's study skewered the Obama Gang for strong-arming the companies into closing 2,000 dealerships, costing an estimated 100,000 people their jobs during a recession. Racial identity politics and race based policies benefit the status quo and the self appointed so called leaders. NAACP has been shilling for the Washington elite incumbent political class intensely telling us over and over again, how Tea Partiers are predominantly a racist bunch. Their racial identity politics, and defense of race based policies only benefit the status quo. Poor minorities serve mainly as convenient pawns. Her...e's a boomerang video exposing them. Let's see now, will the NAACP and the US Dept of Agriculture (USDA) denounce the racists in their ranks? Will the main stream media that's been pimping the stories about racists and the Tea Party Movement go expose the racists in the NAACP and the USDA? Why hasn't the NAACP or MAPA or National Council of La Raza done anything about the thives running the City of Bell for that matter? It's 90 percent Latino, and poor. This is from friend, RICHARD RIDER. I posted this story and talked about my my radio show on Saturday, but I just can't leave it alone. Everyone should know this story, and hopefully be compelled to find out what their city's manager and other city staff personal in their cities and counties, are paid by us, the taxpayers. Richard wrote in an email blast today "COMMENT: Many of you probably heard about this travesty already, but it bears repeating -- especially with my indignant comments added. Bell, California is a city of 37,000 low income people -- mostly ill-educated, compliant minorities. They've been raped by their own city government. Sadly, there's no better description for what has happened. I've seen countless cases of politicians and government workers gouging the citizenry, but this example sets a new standard." Here's a link to the LA Times Story: Is a city manager worth $800,000? Bell isn't a big town, or a wealthy one. But some of its top officials are paid double or triple the salaries of their counterparts elsewhere. Here's a link to a VERY short summary of the story from a Rostra blog entry Richard Rider posted, with his comment below it. Is Dodd-Frank Finance Reform Bill a Quota Bill? Joe Vranich, The Business Relocation Coach on the accelerating epic upswing of businesses with large number of jobs moving out of CA. Bruce Whitaker, a tax payer hero with a long history as a successful tax fighter and proponent of property rights and personal freedom, on CA Deep Blue Politics: The players, the real dangers of economic destruction of the middle class and jobs in CA, and the possibilities for an effective strategic offense to save the sinking ship California. About the Finance Reform Bill. Bill Wilson of Americans for Limited Government says thanks to this bill, the Federal Deposit Insurance Corporation (FDIC), Treasury and Federal Reserve will have the power to tax and spend, seize property and redistribute wealth, monitor individual finances and arbitrarily declare which firms pose "systemic risk," all without any vote in Congress or the possibility of judicial review. Meanwhile, the legislation does not address one of the root, government causes of the financial crisis. About my father's passing on July 1st, and our family's experience with Hospice Care, which my little sister refers to as the Angel of death, has evolved as a standard industry practice and is an integral part of the Obama Health Care Model passed this year.